October | 2015 | This blog is affiliated with the Cedar Bend Humane Society in Waterloo, Iowa to share pet-friendly resources, adoption stories, and CBHS events. As colder weather approaches, we need cozy, pet-pampering beds more than ever! Kuranda beds are durable, chew-proof, and offer the orthopedic support pets need, plus they’re elevated, and offer pets a cozy alternative to the floor. Our friends at Kuranda.com have made it quick and easy to donate beds to the Cedar Bend Humane Society with one click. Beds donated through Kuranda.com are specially discounted for donation, and ship directly to us! 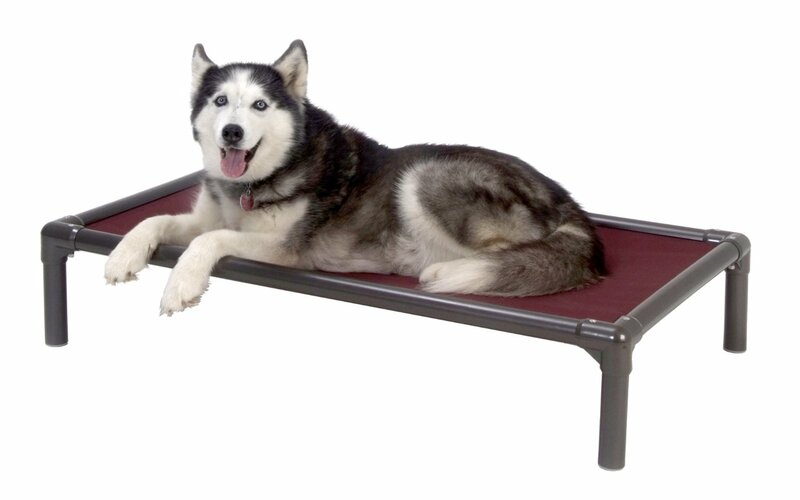 Click here to send us a Kuranda bed that will keep our homeless shelter pets warm and cozy during their stay with us. Additionally, you may donate Kuranda beds and other shelter items via our Amazon.com wishlist, found here, or by adding us as your desired charity through Amazon Smile, here. 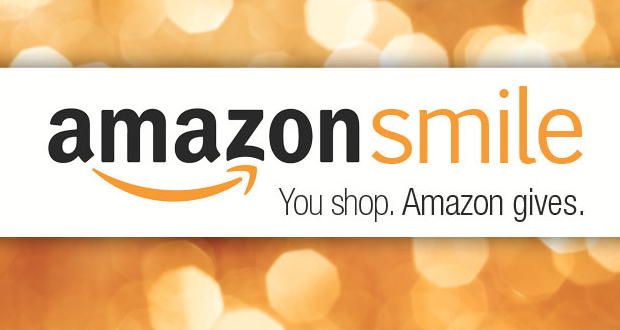 Amazon smile donates 0.5% of your everyday Amazon purchases to CBHS when you choose us as your designated charitable organization. Cool, right? Please help if you can, the animals will thank you for it! There are many wonderful cats available for adoption at CBHS. However, some have been waiting for a home MUCH longer than others. That’s why now through, Friday, October 23rd, our longest cat residents who have lived with us since 2014, have an adoption fee of just $20.14! These cats want to find loving homes just as much as any other cat. Adopt today, and change their lives forever. Click here to view their individual profiles and bios, and here to fill out an adoption application. Each month we’ll feature a different adoptable pet, chosen as a favorite by a CBHS staff member or volunteer. This month’s “Pick of the Litter” has been chosen by CBHS Medical Technician, Kendalle Alquwaie. 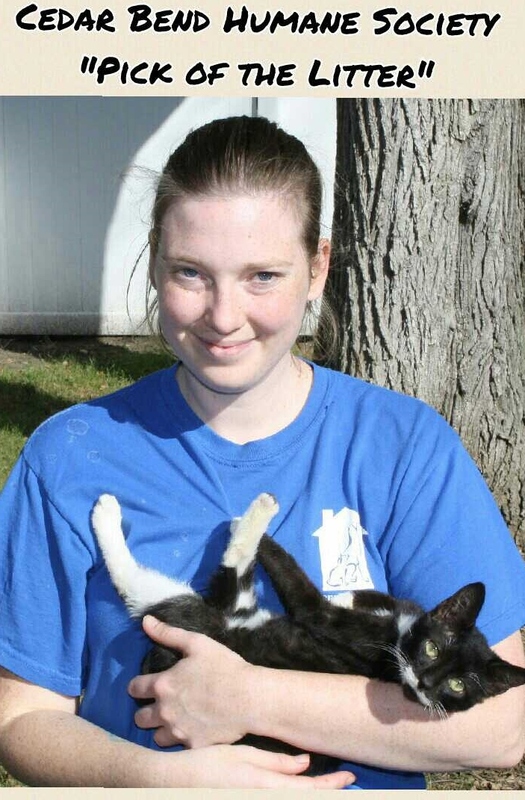 Kendalle chose Edgar, a 3-month-old kitten. Edgar’s adoption profile can be viewed on our website here, or better yet, stop in to our Adoption Center and meet Edgar for yourself today! We’re open every day except for Monday. 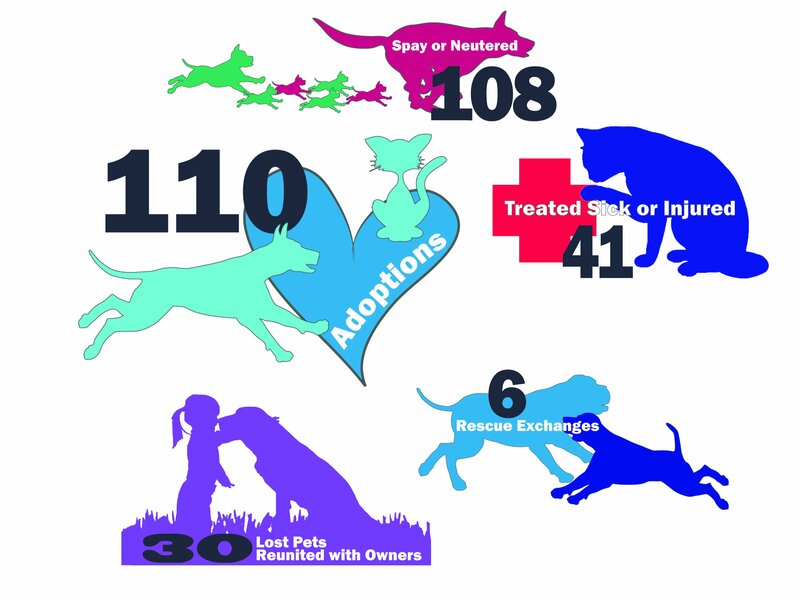 To fill out an adoption application, click here. Here are September’s “Furry Figures” for the Cedar Bend Humane Society. Click or tap the image to enlarge. Halloween is a favorite holiday for many. Candy, costumes, and all the spooky fun a person could ask for. But for pets, it’s often a different story. What’s fun for you, could be scary and overwhelming for them. While many of us spend days, weeks–even months–creating our costumes, perfecting our party playlists, and getting ready for terrifying trick-or treaters, our pets may not share in our enthusiasm for any of this. 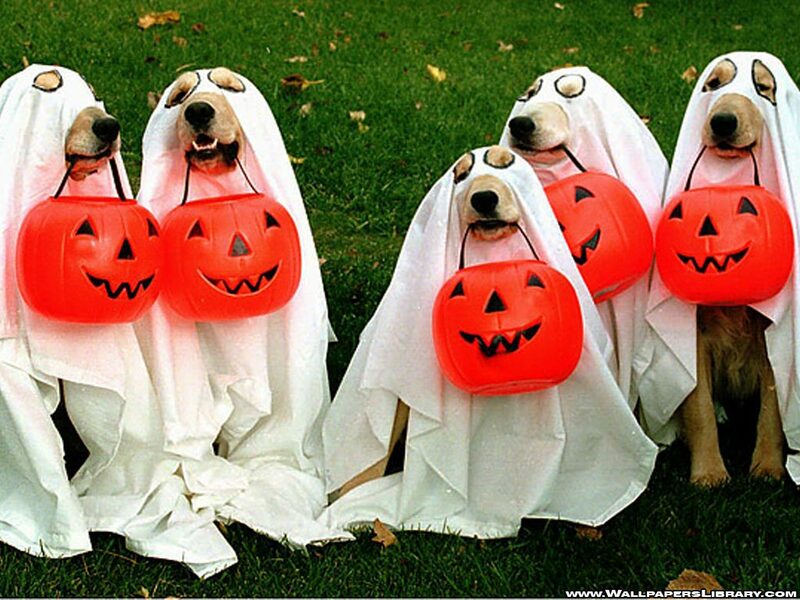 As pet owners, it’s important to keep our pet’s safety and comfort at the forefront of our Halloween hooplas. Nowadays, there are almost as many pet costumes as there are pets (we have many for sale in our Adoption Center *hint, hint*). But not all pets will appreciate being dressed up in a costume. Dressing up may be a big part of the holiday, but nothing should be more important than your pet’s comfort and safety. Dressing up your pet in a costume can be really fun, but make sure your pet actually enjoys being in the costume. If your pet clearly dislikes the costume and looks unhappy or uncomfortable, don’t force them to wear it. Try a fun Halloween collar or bandana instead. Jack-o’-lanterns and candles are a great way to set a spooky tone for your party or trick-or-treaters, but they can also be a hazard for curious (or just clumsy) pups and cats. Not only does this put your pet at risk for burns, but it could start a fire. Even electrical pumpkins and other corded decorations can be dangerous. When decorating your house, keep all electrical cords and wires out of your pet’s reach. Another big part of any Halloween celebration is the candy–but you’ll also want to make sure to keep it away from your furry friend. 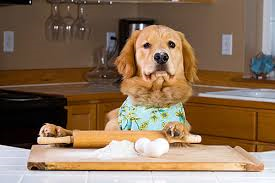 Especially candy that contains chocolate, xylitol, or raisins, which can be toxic to dogs. 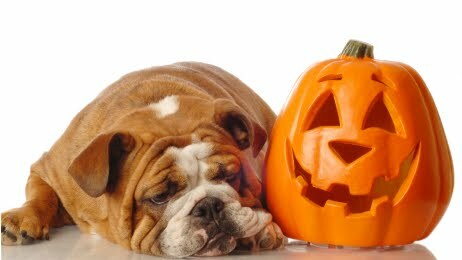 According to the Pet Poison Helpline, emergency vet calls increase by 12 percent on and around Halloween, making it their busiest time of year. It’s not just candy that’s harmful to pets, either. Dogs often eat wrappers and lollipop sticks, which can lead to digestive issues. The Pet Poison Helpline suggests watching for signs, including a loss of appetite or potty-time problems. If your dog has any of these symptoms, contact a veterinarian immediately. 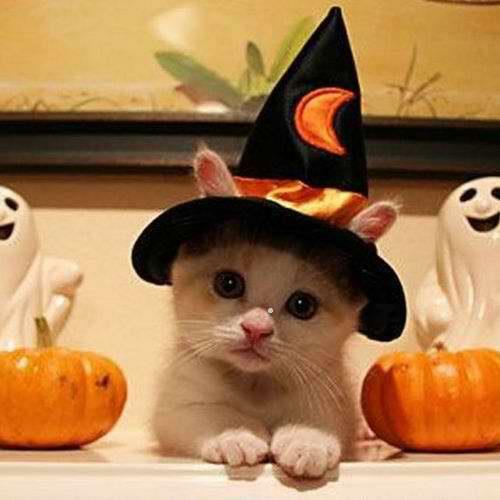 You can still give your pet a special treat that fits with the Halloween spirit. There are plenty of yummy Halloween recipes that you can use to prepare some homemade snacks, like this fun recipe for peanut butter and pumpkin dog treats. Most of us love hearing the doorbell ring and opening the door to see all the creative costumes. However, the noise and festive chaos can make your pet feel anxious, leading to unpredictable behavior. Try keeping your pet in a separate room with his or her favorite toys and calming noises, like the television or a radio. This can help reduce your pet’s stress. Keep in mind that animals can also be scared by the costumes. Scared pets can act unpredictably, meaning even the friendliest dogs can suddenly become aggressive. Try staying outside on your porch (with your pet inside) to hand out candy, rather than opening the door every single time. This will help prevent your dog from barking at or reacting aggressively toward trick-or-treaters. If you’re considering bringing your pet along with you during trick-or-treating, keep in mind that there are many things that might rile up or frighten your pet, which could also lead to unpredictable and undesirable behavior. However, if you are completely sure your dog can handle it, it’s important to follow local laws and ordinances. In particular, be sure that your pet is leashed at all times. No matter what time of year it is, it’s important to make sure your pet has proper identification. 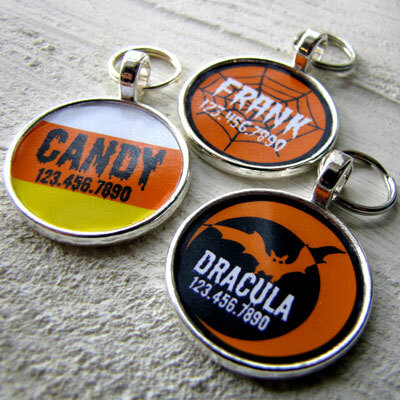 Whether your dog is in costume or not, always make sure your pet has an up-to-date ID tag. For added protection, make sure your pet is microchipped, and that the chip is registered. Scanning for a microchip is one of the first steps a shelter or animal control agency will take when a lost pet is picked up. When the microchip is registered to the owner, they can contact you immediately. Halloween may be all about scary fun, but there’s nothing more scary (or less fun) than losing a beloved pet. CBHS offers microchipping in our Adoption Center, with multiple microchip clinics held throughout the year. Stay tuned to our events page for the next upcoming clinic either here in our shelter, or at a community shelter near you. If your dog is wearing a costume, we’re sure you’ll want to take plenty of spooky (but mostly adorable) snapshots. Here are some tips on taking amazing pictures–even for the less-than-professional photographer. First, understand that getting a great picture will require a lot of practice. Pets are like children – they don’t like to stay still, especially for photographs. 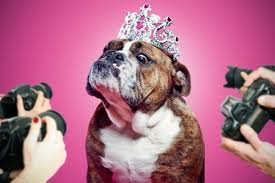 Use squeaker toys and treats to get your pup’s attention and reward them in between shots. Also, try to avoid using flash photography. Bright lights are incredibly unpleasant for animals. In conclusion, involving your four-legged friend in your Halloween traditions can be tons of fun, as long as your pet is kept safe and happy. You know your pet better than anyone. Use that knowledge to decide what is and isn’t appropriate for your situation and your pet. Happy Howl-oween, everybody!